Li, C., Love, G.D., Lyons, T.W., Scott, C.T. , Feng, L-J., Huang, J., Chang. H-J., Zhang, Q-R., Chu, X-K., 2012, Evidence for a redox stratified Cryogenian marine basin, Datangpo Formation, South China: Earth Planetary Science Letters, v. 331–332 , p. 246–256. Zhu, K-J. 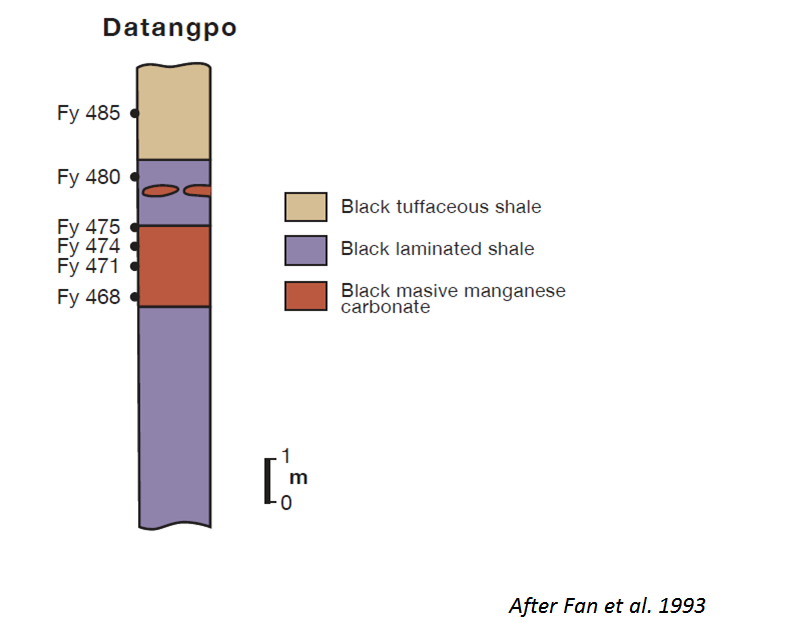 and Yao, G-L., 2000, Geochemical Characteristics of Sinian Manganese Deposits in China: Acta Geologica Sinica, v. 74, p. 534-539. 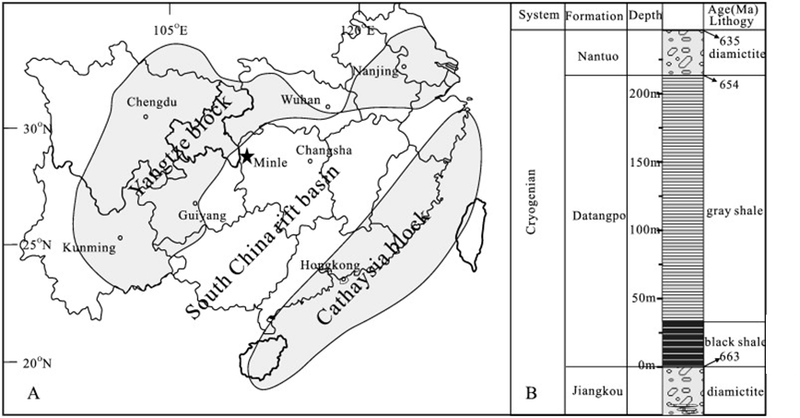 Fan, D., Liu, T., Yang, P., & Ye, J., 1993, Occurrence of anthraxolite (bitumen) spheroids in Xiangtan-type manganese carbonate deposits of south China. In Bitumens in Ore Deposits: Springer Berlin Heidelberg, p. 447-458.